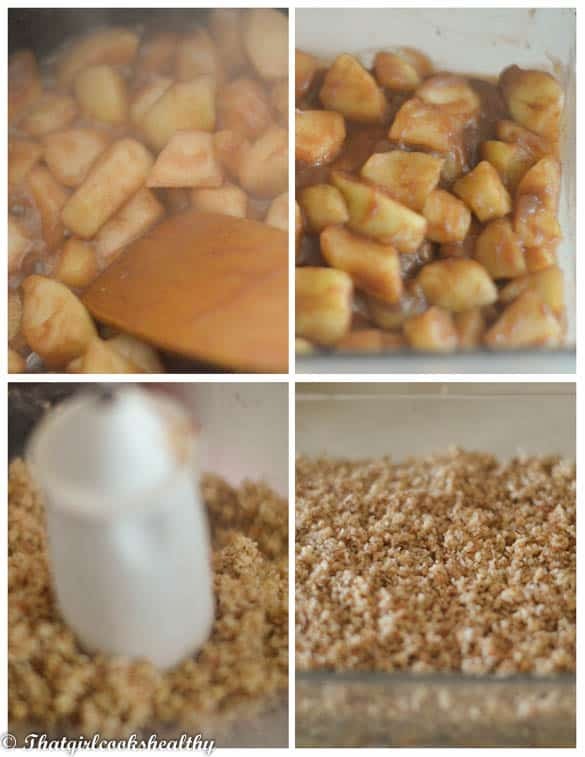 Basic apple crumble recipe – learn how to make this simple yet tasty grain free apple crumble with a delicious grain free topping. 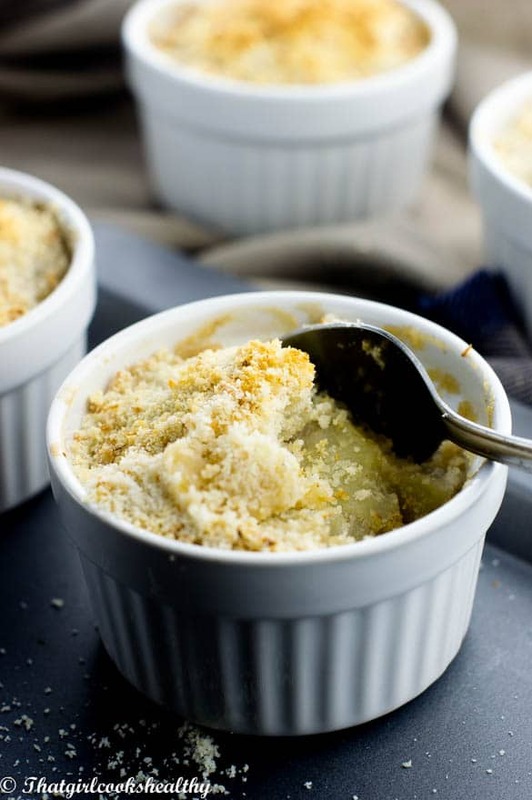 If I told you that you could make basic apple crumble recipe in less than 30 minutes, would you believe me? Well believe it or not it’s true. 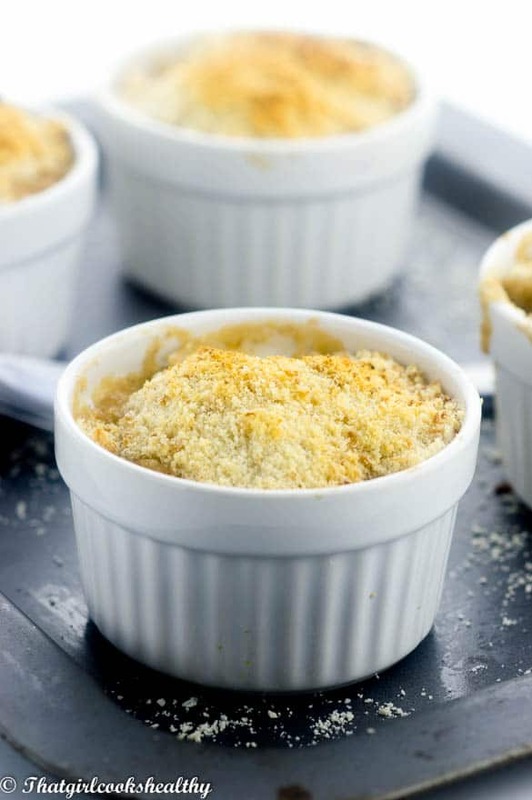 Apple crumble which is known as apple crisp is very simple to make and flavourful. It may look daunting to a novice but if you can pull this recipe off you’re off to a good start. 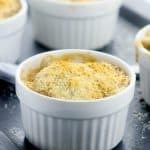 For me this basic apple crumble recipe evokes memories of my childhood, apple desserts; be it crumble or pie were a staple treat growing up. Although I wasn’t too fond, simply because I didn’t like the custard that my mother would generously pour over the top. Interestingly, the British nation love a good crumble pie, it’s on the same level playing field as a bakewell tart. The great thing about this recipe is that it meets the requirements of most dietary needs being dairy and gluten free, suitable for paleo and even of vegan friends can grab a plateful too, isn’t that wonderful? Let’s talk more about the recipe, well as you already know my version is a healthy remake of a classical dessert. The base of the recipe was made using organic apples that I had on hand at the time. I like to consume organic produce where possible depending on availability and price. Organic date paste also played a contributing role in the foundation too, it helped to naturally enhance the pre-existing sweetness of the apples, whilst boosting our fibre, iron and B and C levels. Now the crumble is what really heightened the overall healthiness, now were talking about a grain free topping. Yes that’s right, NO GRAINS, NO BUTTER success. The topping was made with an admixture of shredded coconut and almonds – talk about procuring your omega fats and protein in one serving. To support the crumbly effect, I used 1 tbsp. of coconut oil and 2 tbsp. of date paste and pulsed it in the food processor. Preheat the oven at 350 degree/gas mark 4. Now we need to peel, core and chop the apples. Let the peel apples sit in a bowl of water with a 1 tsp of Himalayan pink salt. This method will prevent the apples from browning quickly. Once the apples are peeled, discard the salt water, pour the apples into a saucepan with the date paste and spices. On low medium heat, allow the apple mixture to simmer in the pot for 6 minutes, gently folding the ingredients to omit sticking. After 6 minutes you’ll notice the apples begin to soften and take on some transparency. At this point we can remove it from the cooker and transfer to an oven proof dish. Arrange the base so that it sits evenly on the dish, ready for the topping. To prepare the topping pour the almonds and shredded coconut into a food processor with a fitted S blade. Pulse the mixture until it starts to ground into a meal, this should take less than one minute. 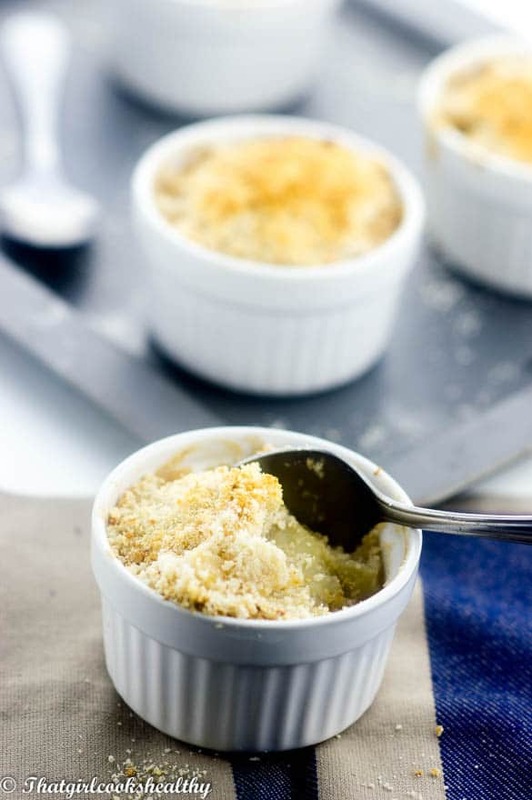 Once the texture transitions to crumbly, add the coconut and date paste – pulse for a further 10 seconds. Layer the base with the crumbly mixture. Two layers should be enough. If you have some left over, feel free to make some coconut and almond energy balls or save it for another batch. Cook in the oven for 12-15 minutes or until the top is lightly golden brown. Use organic if possible, but not a necessity. Ensure to stir apples when simmering to avoid them sticking to the pan.